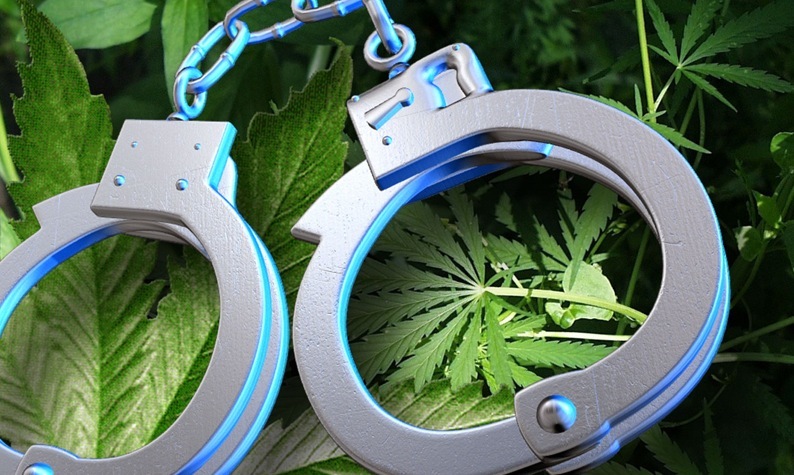 EMLENTON, Pa. (EYT) – State police were dispatched to an Emlenton residence for an animal welfare check and found a marijuana plant on the house roof. According to a criminal complaint, around 6:02 p.m. on Thursday, October 4, Trooper Seybert, of the Franklin-based State Police, was dispatched to a residence on River Avenue in Emlenton Borough to check on the welfare of a dog that was reported to be on the roof of the residence. Trooper Seybert arrived at the residence around 6:26 p.m. and, while still seated in his patrol vehicle, observed what he recognized as a marijuana plant on the roof above the porch. A tan and white dog was sitting on the roof next to the marijuana plant. According to the complaint, the homeowner, Kenneth Bush, then arrived at the residence and gave consent for Trooper Seybert to retrieve the marijuana plant and search the residence. The marijuana plant, a small amount of processed marijuana, and a digital scale were seized. Bush was arraigned at 11:15 a.m. on Friday, October 19, in Magisterial District Judge Patrick E. Lowrey’s office. He is free on $5,000.00 unsecured bail. A preliminary hearing is scheduled for 1:30 p.m. on Wednesday, October 24, with Judge Lowrey presiding.